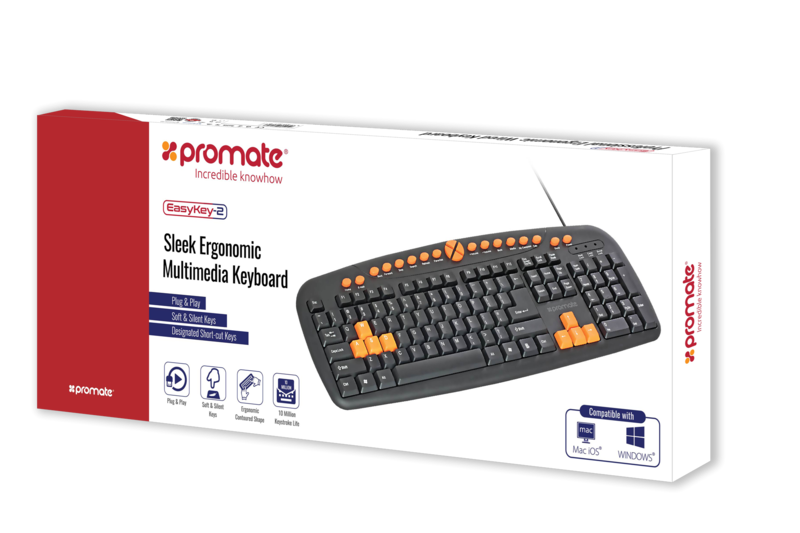 The Promate EasyKey-2 is designed while keeping in mind the comfortability of the user. 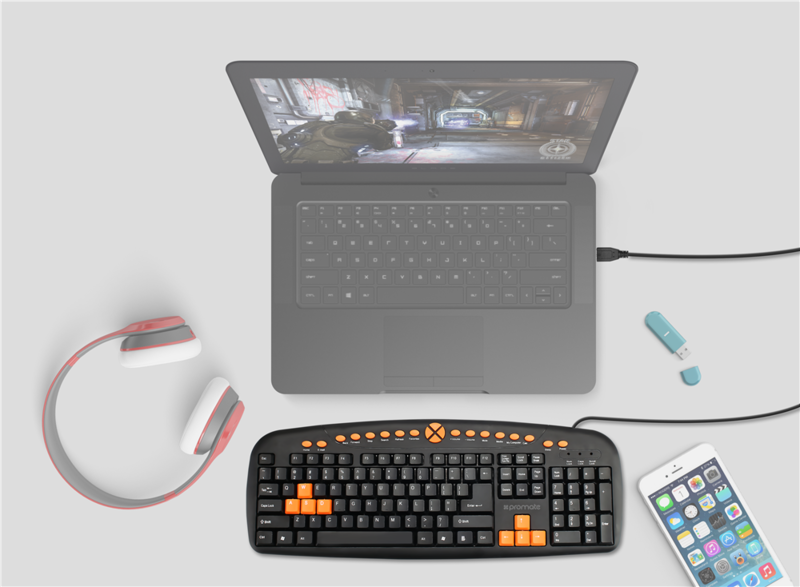 The ergonomically contoured shape design keeps your hands in a relaxed and neutral position for effortless typing and gaming. asyKey-2 comes with whisper quiet keys which are soft and silent for a comfortable and feel-good typing experience. 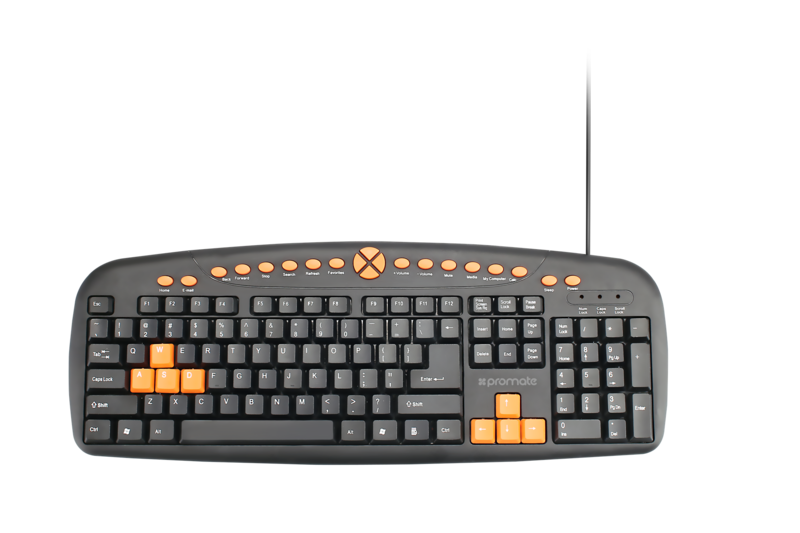 The keys are made low profile and silent which barely makes a sound so that you can work and type effortlessly without any disturbance. 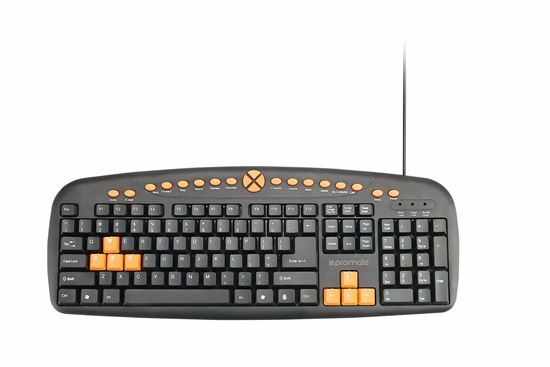 EasyKey-2 is a long-lasting keyboard with 10 million keystroke lives. EasyKey-2 is a sturdy keyboard made to last with a complete focus on the quality and the comfort of the user.